GSMArena team, 03 April 2017. The Nokia 6 is powered by the Snapdragon 430 chipset - a midrange Qualcomm SoC built on a relatively outdated 28nm process. Much like the bulk of processors priced in this segment, the 430 packs 8 Cortex-A53 cores, which tick at a frequency of up to 1.4GHz. The GPU is an Adreno 505. Again, we have the Chinese version of the smartphone, which comes with 4GB of RAM and 64GB of storage as standard. The global version will be available in both 3GB/32GB and 4GB/64GB configurations. We subjected the Nokia 6 to the usual set of benchmarks, starting off with GeekBench. A single Cortex-A53 core clocked at 1.4GHz can only do so much, and the Nokia posts one of the lower single-core results. It's nothing to do with Nokia's implementation though - the Zenfone 3 Max and the Lenovo K6 Note we've tested before score virtually identical numbers. The Snapdragon 617 in the Moto G4 Plus is marginally faster (same Cortex-A53, but at 1.5GHz), while the Helio P10-powered Moto M is even better (A53@1.8GHz). Both the Honor 6X and Snapdragon version of the Redmi Note 4 should also whiz through single-core tasks more quickly than the Nokia 6. Then again, it's hard to beat the Helio X20's vastly superior Cortex-A72 cores. In multi-core, however, the S430 in the Nokia 6 performs above its pay grade. It leaves the K6 Note and Zenfone 3 Max way behind and matches the Meizu M5 Note's Helio P10. This isn't the highest scoring of P10s though, and the Moto M still outperforms the Nokia 6. The Honor 6X and its Kirin 655 can't compete with the Helio X20s, but those aside, it remains undefeated in this test. The Nokia 6's less than impressive benchmark run continues into crowd favorite Antutu. Again that's not due to poor optimization on Nokia's part - that's just what the hardware is capable of, as evidenced by the similar numbers from the Zenfone 3 Max and the Lenovo K6 Note. Here we observe larger gaps between the various chips, though the Helio X20 is again undisturbed at the top. Basemark X shows the Chinese 6 in better light. Here, the Nokia beats the Exynos 7870-powered Galaxy J7 (2016), the K6 Note (S430), Moto G4 Plus (S617), and the lowly Helios too - Redmi Note 3 and Meizu M5 Note. The Moto M makes better use of its P10 though, and pulls ahead of the 6. The Honor 6X is again on top of the Nokia. Moving on to graphics-only benchmarks, and since we're already into the Basemark suite, it's Basemark X first. Very little to split the different Snapdragon 430s here, and they are all ahead of the Helio P10s, so there's that. The Helio X10, on the other hand (Redmi Note 3), matches the Honor 6X (Kirin 655), and both are somewhat ahead of the Nokia 6. The S650 is the clear winner here, inside the (other) Redmi Note 3. GFXBench comes next with some framerates to judge gaming performance. None of these devices is a true 3D powerhouse really, but some are obviously better than others. The Helio X20 and Snapdragon 650 lead the way, clearly. The Nokia 6 with its Snapdragon 413 is in the middle of the pack, inching ahead of P10s and the S617 (with the previous-gen Adreno 405). As far as current chipsets go, the Snapdragon 430 at the heart of the Nokia 6 is a modest performer, and there's no going around its inherent limitations. 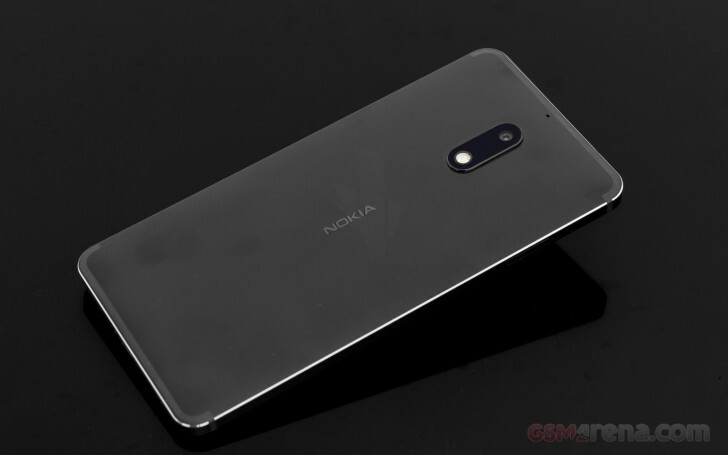 Still, the Nokia engineers have managed to squeeze the most of it (or not mess things up, depending on the perspective), and the phone scores on par or better than other similarly equipped devices. That being said, more capable smartphones are available for the 6's asking price.